These Pistols do not ship with the fired casing required for NY or MD. 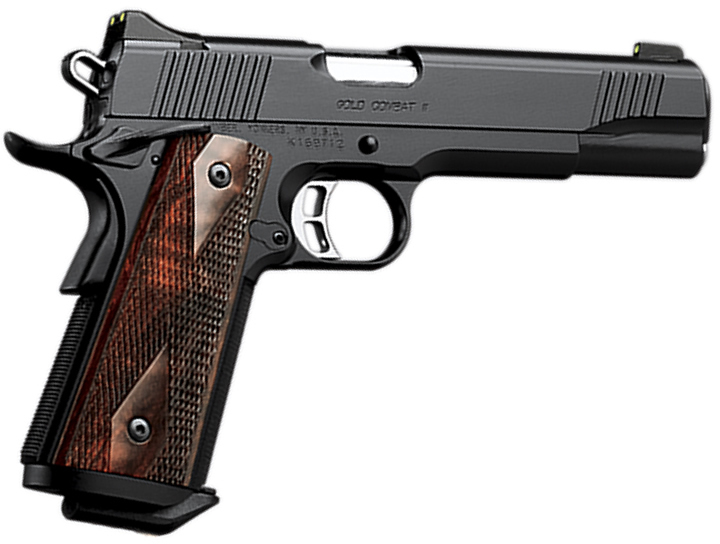 Pistols from the Kimber Custom Shop are equaled in quality only by a handful of America's finest. The finest parts are combined with hand fitting and artistic flair to create a pistol as beautiful as it is functional and accurate. All Gold Combat models have night sights. Gold Combat models have 30 lines-per-inch checkering on the frontstrap and under the trigger guard.